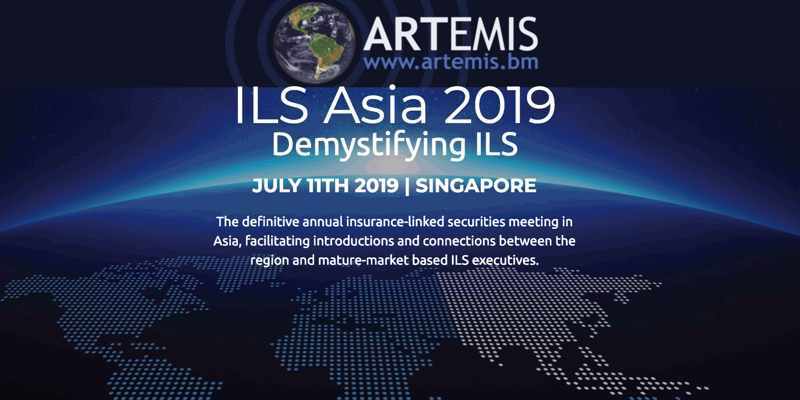 Insurance-linked securities (ILS) and reinsurance linked investment funds were once again hit by loss creep in February 2019, causing the group to fall to an average return of -0.05% for the month. Loss creep has been a significant driver of ILS fund underperformance in recent months, as catastrophes from both 2017 and 2018 continue to drive impacts through investments in catastrophe bonds, collateralized reinsurance and other ILS structures such as private quota shares. Once again the results for February as tracked by the Eurekahedge ILS Advisers Index have been delayed slightly again and one ILS fund that failed to report in time has been dropped from the Index for the month. It is deterioration in catastrophe loss estimates that has driven February’s poor return, with the -0.05% return coming in well below the average for the month of 0.49%. Performance was mixed across the ILS fund market though, with half of the 32 ILS funds tracked managing a positive return in February. February did see some catastrophe activity of its own, but there has only been minor impacts to certain ILS positions we understand with no meaningful impacts suffered. However, loss creep continued to dent returns for many funds, particularly in the catastrophe bond market where mark-to-market pricing movements saw a number of positions impacted on rising loss expectations, as well as in the collateralized reinsurance market where loss expectations continued to rise for certain catastrophes. The result was that pure catastrophe bond funds as a group were down -0.02% for February 2019, while the funds that invest in private ILS and collateralized reinsurance were down by -0.07%. Typhoon Jebi has been a driver of continued loss creep, as too has hurricane Michael, ILS Advisors explained. The cat bond market reacted, with the price return down -0.56% for February, while the total return was down -0.07%. One catastrophe bond exposed to Japan typhoon risk saw its price decline by nearly 40% in February and fell by another 30% in March, while a number of U.S. wind exposed cat bonds saw their prices falling by 10% during the month. At the same time, some ILS fund managers are now looking to the potential for subrogation related to the 2017 and 2018 California wildfires, ILS Advisers said, providing a chance of potential recovery on some claims. However this could take some time before any clarity emerges over liability for the wildfires and whether subrogation is indeed possible, we would suggest. As ever, it’s important to remember that the ILS fund market is full of a range of reinsurance linked investing strategies, hence there is a significant range in performance from February 2019. 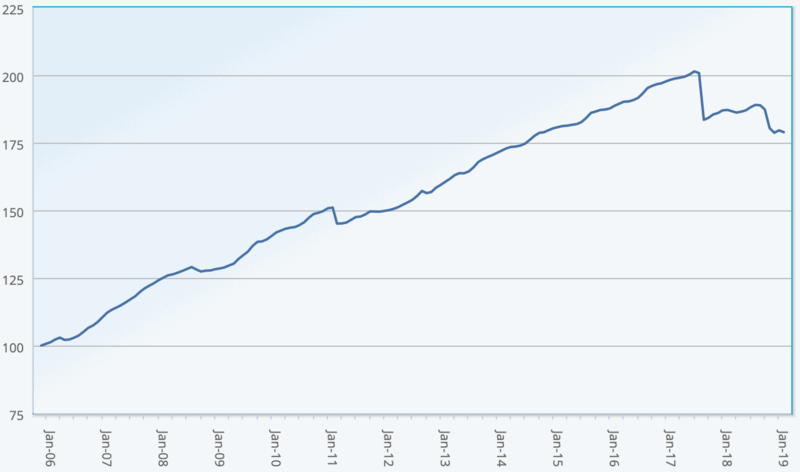 With one ILS fund at -1.38%, that means another reported an impressive +1.58% for the month, reflecting the diverse range of investment strategies available in the ILS asset class. Investors will be hoping that there is soon an end to this loss creep, that continues to erode returns for some strategies each month. It has come as a surprise to some, who had hoped that losses from 2017 and 2018 would be all but finalised by now. But given the way losses keep rising it seems possible there could be further negativity from prior year events to come. You can track the Eurekahedge ILS Advisers Index on Artemis here, including the new USD hedged version of the index. It comprises an equally weighted index of 32 constituent insurance-linked investment funds which tracks their performance and is the first benchmark that allows a comparison between different insurance-linked securities fund managers in the ILS, reinsurance-linked and catastrophe bond investment space.